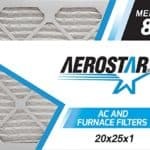 20x25x1 AC and Furnace Air Filter by Aerostar – MERV 8, Box of 6 Pleated MERV 8 Media Comparable to MPR 600 and FPR 5 Designed for Superior Filtration Efficiency Made with electrostatically charged synthetic material that draws and captures allergens between 3 – 10 microns, including lint, dust mites, mold spores, pollen, pet dander, and dust. 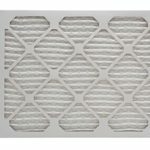 Improve Indoor Air Quality Protect your family and loved ones with clean indoor air quality at home. 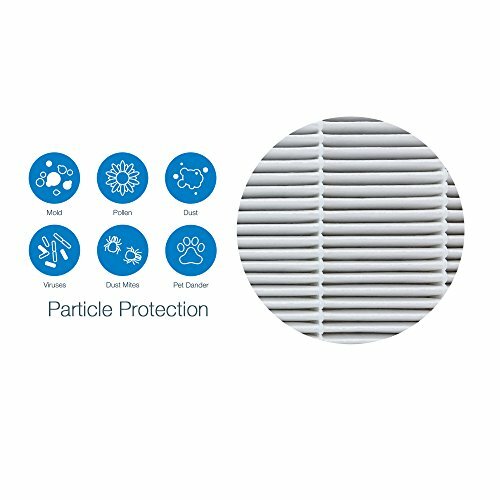 Aerostar filters are a simple and cost effective step towards a healthier home environment, free of airborne allergens and particles that can trigger various allergy and asthma symptoms. 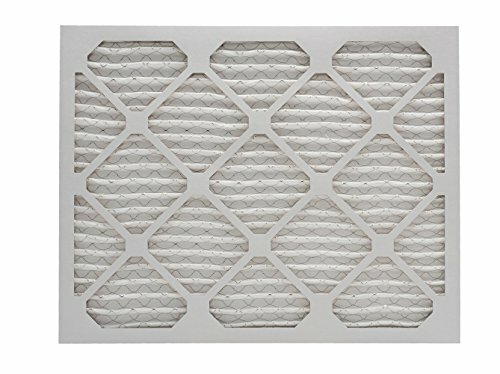 Reduce Cost An Aerostar furnace air filter helps keep your HVAC unit working efficiently by removing dirt and reducing strain on the motor. When your unit runs properly, it consumes less energy, requires less maintenance and will have a longer life. These factors will have an impact on your utility bill and maintenance costs. 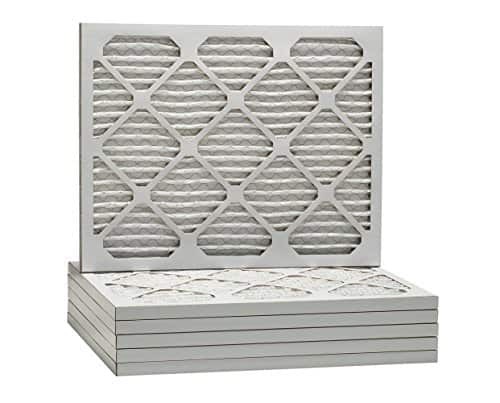 It is recommended that you change the filter every 60 to 90 days during normal times of year but increase frequency to 30 days during peak summer and winter months when your unit is working the hardest. 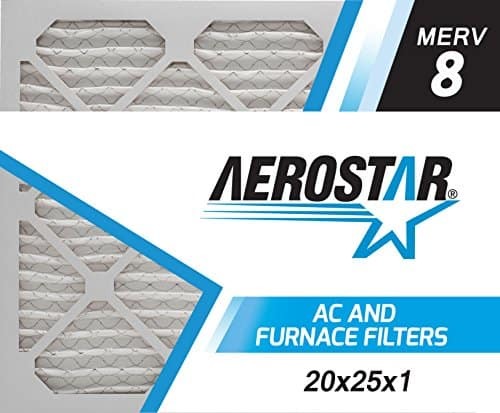 About Aerostar Air Filters Aerostar filters are manufactured in the USA by Filtration Group, a world-leading manufacturer and supplier of filtration solutions for residential, commercial and industrial applications. 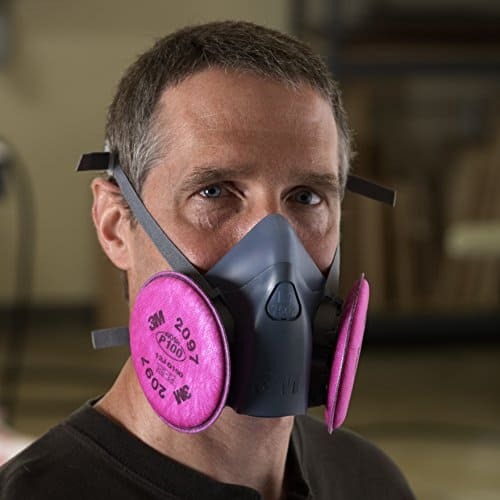 The Aerostar brand is known for constantly innovating and improving their technology to help make filtration more efficient, effective every day. What’s in the Box of six Aerostar MERV 8 Pleated Furnace Air Filters. MERV 8 filters are comparable to MPR 600 and FPR 5 ratings. 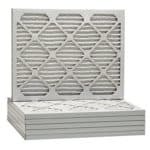 Nominal Size: 20 x 25 x 1, Actual Size: 19 1/2″ x 24 1/2″ x 3/4″ , Size: 20x25x1, AC and Furnace Air Filters.